How many films would you guess have a lead character with a name like Lola? The name actually has profound significance in the history of German cinema. The origin of this heritage can be traced back to the famed German actress Marlene Dietrich. She got her big break in Joseph Von Sternburg’s Weimar Era film Blue Angel, where she played the cabaret performer Lola-Lola which ultimately led to a storied career in Hollywood. Many years down the line the acclaimed Rainer Werner Fassbinder would make a film named Lola representing the New German Cinema of the 1970s and 1980s. Not surprisingly he took his inspiration from von Sternburg and also focused on a cabaret singer named Lola. These two connected allusions gave inspiration for the prestigious German film awards (The Lolas) which have carried that name since 1999. With this lineage, it seems fitting that Tom Tykwer’s Run Lola Run released that very same year, would share that hallowed name. Run Lola Run proved to be the forerunner to modern German cinema which regained some of the excitement and interest of previous generations. The film was the perfect way to reflect the turn of the century and the beginning of a new page in German film history. It pays homage to the past but perhaps, more importantly, it moves forward into new unmarked territory. Germans certainly have not forgotten about the Nazis or the GDR, but this film reflects the reality that they are continuing to move on. All that being said, it is extremely difficult to categorize Run Lola Run because it resists any attempt to try and put it into a box. It falls somewhere in between classic art-house films such as Rashomon and Breathless. Akira Kurosawa’s film is noteworthy because it brought attention to Japanese cinema and it also tells its story three times over from three very different points of view. Jean-Luc Godard’s Breathless, on the other hand, ignited the French New Wave movement and the film itself was in homage to Hollywood crime films mixed with innovative editing and camerawork. However, there is a bit of light and comedic Hollywood blockbusters like Scott Pilgrim vs. the World in Lola too. Films like these share a comic book reality full of superpowers and bright hairstyles, exhibited by people who in every other way look normal. As English writer Richard Rayner put it, Run Lola Run “brings Hollywood pizazz to the European art movie” (Kosta, 165). It was further described by the German film scholar Michael Töteburg as a, “romantic-philosophical actionloveexperimentalthriller” and although this title might be applicable it only serves to confuse the situation more (168, Kosta). Any of these comparisons ultimately falls short because they fail to describe Run Lola Run in its entirety, as difficult as that may be to believe. It truly is a genre bender and that gives a clue to why it was successful all over the world. With Run Lola Run, Tom Tykwer is able to creatively synthesize, unique storytelling, aesthetics, philosophical questions, animation, and good old-fashioned thrills, into a film with an inventive flare. He successfully ushered in the new millennium of German film culture and he did it with style. Even with the introduction of his film, Tom Tykwer sets it up in a way that opens differently than most other movies, because there is a philosophical yet nonsensical feel. It commences with two philosophical quotations and then a bit of narration. The first excerpt comes from famed American poet and author T.S. Eliot who wrote, “At the end of our exploring we shall cease from exploration…and the end of all of our exploring will be to arrive where we started…and know the place for the first time.” Then the second quote by the German coach Sepp Herberger (famous for winning the 1954 World Cup) simply states that “After the game is before the game.” These rather abstract and paradoxical assertions are perfect in this film for multiple reasons. The words of T.S. 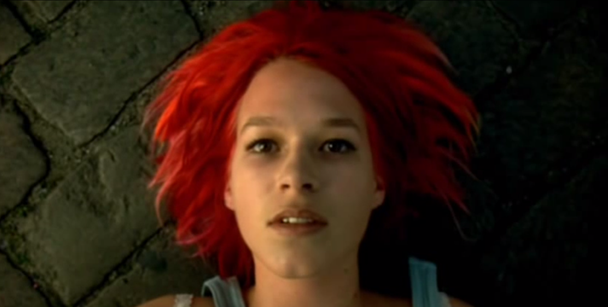 Eliot suggest that time is all interconnected, and in some ways, it alludes to how the narrative in Run Lola Run will be replicated with the characters beginning anew each time. The game metaphor is extended further when we are introduced to many of the supporting characters in a mass of blurred humanity. At the same time, numerous existential questions are being raised by a narrator. It is important to note that this voice belongs to Hans Paetsch, a man who had been the voice of fairy tales in Germany during the 20th century. In a sense, Tykwer is gearing up his audience not only for an existential ride but a fairy story as well. The only answer we receive as viewers, however, is more from Herberger again. “The ball is round. The game lasts 90 Minutes. That’s a fact. Everything else is pure theory” (Run Lola Run). This quote is meant to beckon back to Fassbinder’s film The Marriage of Maria Braun (1979), which “returned to the past to identify the moment in postwar Germany history in which the game was won.” Of course, this came with the victory in the World Cup which was spearheaded by Herberger. With this statement, the absurd game that is Run Lola Run begins, and before it has even started Tom Tykwer has effectively succeeded in bringing up more queries and alluding to German culture. However, unlike the former New German Cinema, Tykwer is eager to move past that and play a new game entirely. After the prelude, it seems absolutely necessary to look at the title credits of Run Lola Run, because they say a lot about the film as a whole and the themes that will carry through the entire story. First off, the importance of clocks and the race against time becomes evident early on and it remains throughout the whole movie. The music and sound effects really help to emphasize this motif of running because they have a repetitive, upbeat, rhythm that dictates the tempo. With the changing scenes, the music, in turn, changes to fit the moment. Furthermore, the animation and the Polaroid snapshots are a unique way to go about the title credits and they give us more visual cues about the characters before the story actually begins. In a flash, after the absurd introduction and the whirlwind opening credits, we are already in the middle of another sequence that maintains this furious pace. The opening shot sends us zooming down to a map, through a building window, down halls, until it comes to rest on a bright red phone in a room. Here we are introduced to Lola (Franka Potente) as she converses with her frantic boyfriend Manni (Moritz Bleibtreu), who is calling from a phone booth in town. Ironically, the plot of the film is rather simple, but as we will soon see it is the way that Tykwer goes about it that is interesting. Aside from the breakneck speed, and the beating soundtrack, the visuals also work to create this frantic mood. First off you have Lola with her mop of cartoonish red hair. However, perhaps just is noticeable are the quick cuts between the characters as they talk on the phone. Each time they say something it cuts to that character and then switches back when the other person speaks. However, when the camera returns it is almost always a different shot from the previous one. So not only does the rapid editing create motion, the cinematography does as well since the camera is physically moving. A conventional film would not have shot a simple sequence this way, but Tykwer effectively uses it to build up speed despite the stationary aspect of a telephone conversation. In these opening moments and for the rest of the film, the director also uses black and white, sped up flashback to get around normal narrative limitations. Interestingly enough, even when the film is looking back in time the pace is maintained by speeding up the footage and not playing any dialogue. The inciting incident begins with Manni who was supposed to pick up some money for a thug, but he accidentally left the bag in the subway where it was taken by a bum. This was in part because Lola was late to pick him up since her moped was stolen. Just like that that there is our first instance of chance as well as the importance of time. All of this means that Manni is short 100,000 marks and he only has 20 minutes before the thug Ronnie will be calling on him. As Manni is frantically recounting how it all happened one sequence especially stands out. There is a moment where Lola realizes that he left the bag of money and they both whisper, “the bag,” except it keeps on repeating and the images rapidly flash between Lola and Manni (Run Lola Run). It makes sense that the director would do this to get our attention because in reality, the whole film revolves around the contents of that bag. Twkver does a very similar thing when Manni is surmising where the bum has run off to with the money. The camera rapidly flashes through images of locales while Manni rattles on about Florida, Hawaii, Canada, Hong Kong, Bermuda, and so on. Then the montage ends with an image of Ronnie, the man Manni will have to answer to, and this suggests that his mind has come back to reality. Despite all of this, Lola tells him to stay put and promises to think of something. Here we see a hint of almost superhuman abilities in Lola when she gives off a piercing scream to silence Manni and then she tosses the phone receiver back on the hook. From this point, we are given a view into Lola’s mind as she breezes through people she can go to. To replicate this, the camera revolves around her and facial profiles flash on the screen for a mere instant. In fact, it gets to the point where it almost feels like subliminal messaging since the frames disappear so quickly. After mulling through the images in her brain, she settles on her banker father to ask for help. It is from this spot that the story diverges with each of her different runs being slightly altered by chance. It is now the first time through and Tykwer brings back the animation by depicting Lola’s descent down the stairs with cartoonish images further developing this fanciful world. When she enters back into the real world the race is on and the upbeat score is dominant at this point and it keeps rhythm with the movements of her body. Arms pumping, legs churning, chest heaving. Despite all this repetition it does not seem to become more monotonous, it simply ups the tension with each gesticulation. Interestingly Lola crosses paths with the same people during each of her runs. Instead of having each encounter develop the same way, Tykwer changes up the results each time. He ingeniously gets around the restraints of conventional narrative by using rapid sequences of Polaroid photos to represent what will happen after Lola leaves the frame. Thus, this is yet another way in which we see how minute details will be manipulated to completely alter the future. For instance, Lola bumps into a lady with a small child and then Lola is followed by a man on a bike. The woman curses her out angrily but ironically we see that her baby is taken from her and she commits a kidnapping. Then, the man on the bike actually stole it so he is beaten, goes to a café, finds love, and is married. These potentially drawn-out scenes actually happen in a matter of seconds thanks to snapshots, and the speed is retained as Lola continues to sprint towards her destination. Everything is moving so fast that our brains might possibly get left behind trying to process it all and yet miraculously it works for the most part. The power of chance is further evident when Lola is nearly run over by a businessman and then passes a homeless man on a street corner. As an audience, we do not know it yet but he will play into a later story, right now his only outcome is that he crashes into another car. With the homeless man, on the other hand, we know he was the one with the money and ironically Lola does not give him a second look. All the time that she sprints, flashing by in her peripherals are scenes of modern Germany. There is the ever-present construction, brick buildings, concrete pillars, signage, and urban life. It gives the impression of a car ride with images zooming by for an instant, closely followed by a continuous line of other objects. The adrenaline rush of Lola is contrasted with the scenes in the bank where Lola’s father is having an intimate conversation with his lover. The two moods clash as the frantic girl bursts on the scene asking for money. Here this narrative thread takes its first twist. Lola’s father abruptly disowns her revealing she was born by another man and then she is thrown out. This seems hardly realistic and yet it fits the themes of Run Lola Run. Almost anything can happen and it can be attributed to chance or fate. This frees Tykwer up by giving him tremendous narrative freedom to examine these topics in any way he’s sees fit. And he does that by continuing the race to Manni as time continues to run down. Before Lola can get to him, Manni crosses the street and holds up the market there. She implores him, “Why didn’t you wait for me?” His answer is simple. “I did, you got here too late.” This perfectly sums of the whole sequence (Run Lola Run). If only Lola could have run faster or had just caught the bum, or if Manni waited only a moment longer. Then again Lola could have easily been injured by the car that almost ran over her. Eventually, she and Manni do get away as a light song plays in the background with the words, “What a difference a day made. 24 little hours” (Run Lola Run). This is an ironic statement especially after what ultimately plays out. The final moments of the run include accidental events of great consequence. Earlier the gun Lola has discharges and then a policeman accidentally fires, mortally wounding her. Here is a moment reminiscent of a Jean-Luc Godard crime film that always seems to take a turn for the worse. However, in Lola’s case, she again seems to exhibit superhuman powers. Before dying she whispers that she does not want to leave and then she literally orders time to stop. Run number two begins soon after. All of a sudden Lola is going down the stairs again except this time her animated doppelganger is tripped by an animated man and thus she begins the new sequence of events. Again she collides with the lady (who we learn will win the lotto this time around). She also bumps into the homeless man going around the corner, except surprisingly she does not give him a second look as she hustles onward. She hurtles the hood of the car this time and again the driver gets into an accident, but this time he hits the rear of the other vehicle instead of the front. Then at the bank, Lola’s father is loyal to his wife and kids while conversing with his lover. Still, he and Lola have a volatile fight that ends with her throwing a major tantrum. Strikingly the security guard remarks, “It just isn’t your day. Doesn’t matter. You can’t have everything” (Run Lola Run). Whether it is his timely statement or something else, Lola turns right around and proceeds to steal a gun, hold her father hostage, and rob the bank for 100,000 marks. This time luck is on her side because the SWAT team lets her flee unimpeded not suspecting that she is the culprit. However, although she reaches Manni in time, she cannot save him from an incoming ambulance. This was the same ambulance that crashed through a pane of glass earlier and the same ambulance which was of little importance to the story during the first run. Again, everything is up to chance. Now the roles are reversed and Manni is on the verge of death with Lola looking on. After a moment in which the couple is in limbo again, the phone drops off the hook and kicks off run number three. Third times the charm as Lola once again scampers down the stairs, hurdling over the dog and scaring it off this time. For the first time, she does not hit the women and also for the first time she cuts into the street in front of the man on the stolen bike. These changes are a portent of radical developments in her replayed future. The camera actually follows the biker and his path crosses with the homeless man, who also swiped something of value. The bum comments that “life is sure crazy sometimes” and the other man attempt to pawn his ride for 70 marks (instead of the previous 50) (Run Lola Run). Although this quote from the bum is unassuming, Tykwer places it to say something about the central themes of the film. Like earlier quotes, it suggests that insignificant minutiae can, in fact, lead to a crazy turn of events. This is, of course, the Butterfly Effect, the idea that the flapping of a butterfly’s wings could cause a hurricane weeks later. Back with Lola, she runs into the hood of the car and then as she goes around the corner. This time there is no homeless man. He instead is on a bike which Manni spots by chance and chases after. Ironically, now he is running while Lola stands at the casino trying to win the money at roulette. Her bloodcurdling super-human scream leads to a big payoff and Manni is able to get his money and smooth out his situation with Ronnie. This is the reality that they were hoping for all along and they finally have it. Tykwer teases us by ending the film with the clicking of a camera. The one time we really care about what the snapshots will say of the future, he decides not to show us. We must simply be content with the narrative that he has given us and leave it at that. Critic Roger Ebert wrote that he liked Lola, though he didn’t get to “know her very well, and she is usually out of breath” (www.rogerebert.com). Depending on how you see it, this is one of the positives or negatives of this film. The narrative is so interesting that the characters take on a lesser importance in some respects. In fact, sometimes it seems like we know more about the supporting cast because most of what we see of Lola is her motions. According to the title of the film, however, Tykwer was not lying, Lola runs just as the title suggests and that should be good enough. In this final run, there is a possible nod to the classic Fritz Lang thriller M, in which a serial killer is caught by the authorities because of a tip from a blind man. In Manni’s situation, he ends up noticing the thief because of a blind woman (who is Bleibtreu’s mother in real life) (Kosta, 174). There is yet another film allusion that is especially interesting to consider in terms of the motif of time. As Lola is racing against time to win money at the casino, there is a sequence where the camera moves through a group of people to focus on a painting. The image is of a young blonde-haired woman with a bun, facing away from the viewer. This is a small nod to another painting in Alfred Hitchcock’s Vertigo. It is a psychological thriller deeply concerned with spirals, whether it was staircases or even a spiral from a piece of art, which indicated the continual spiral of time. Fittingly, just after focusing on this image the camera looks at the clock and our story of Lola’s race against the clock continues as her third spiral starts to come to a close. With all the scenery that Lola goes rushing by it seems necessary to dwell on the locales a little. Lola sprints past Garnison Cemetary (in the former East) at the start of every run. Furthermore, she can always be seen sprinting underneath the train on the Oberman Bridge which was formerly “a border crossing for Germans during the time of the wall” (Kosta, 175). An international audience may not know this, but for native Germans of a certain age, it implicitly suggests the post-unification period is in full force. Such landmarks are now symbols that signify that the East and West truly are united in contemporary Germany. This is just another detail that Tykwer does not directly tell us, but it just adds to the layers of the film. Another aspect of Lola that deserves some attention is the soundtrack which Tom Tykwer actually worked on himself with the help of some others. The score actually changes with the beginning of each new run that Lola has. The first techno beat that is created is best described as the most intense and pulse-pounding of the three. The theme for run two still has a steady pace, but for some reason, it seems less intense and there is a greater focus on the lyrical content. The third theme is similar to number two because it also has a steady beat, and yet there is a greater emphasis on the quiet lyrics which are actually spoken by Franka Potente in English. When you break down the score down like this it does not appear all that impressive, but cohesively with all the aspects of the film, it works wonderfully. The fact that you notice it, but do not dwell on it too much, suggests that it is the perfect addition to this collage that Tom Tykwer composed. Something would be lost if it was taken out, and yet it does not take away from the aesthetic qualities of the cinematography or the editing. Although Tom Tykwer’s most acclaimed film to date has been Run Lola Run, he has made other films both in Germany and internationally. His two pre-Lola films were Deadly Maria (1993) and Winter Sleepers (1994) which follow a repressed introverted woman who lashes out and then a group of people during a mountain blizzard respectively. With The Princess and the Warrior in (2000), Tykwer was reunited with Franka Potente, and then with Heaven (2002) he got his first chance at an international film, which starred Cate Blanchett and Giovanni Ribisi. His two other major efforts in the 2000s were Perfume: The Story of a Murderer (2006) and The International (2009). The first is an adaption of an acclaimed book and as the name implies it is about a perfume obsessed murderer. The second film teamed Tykwer with Clive Owens and Naomi Watts in a thriller about an Interpol agent. However, Tykwer’s most commercially successful film came relatively recently with Cloud Atlas (2012). The sci-fi, fantasy flick, starring Tom Hanks and Halle Berry, shares many of the themes of Run Lola Run as isolated events affect the past, present, and future in a span of 500 years. His upcoming project called A Hologram for a King will also star Tom Hanks (www.tomtykwer.com). Although he has never matched the heights of Lola, Tom Tykwer still shows an interest in intriguing topics, especially having to do with time and the potential consequences of actions. The good news is that he is not done creating so there are potentially some really good ideas left in his brain that he can bring to the screen. We will just have to wait and see. All in all Run Lola Run has everything you could possibly want packed into barely 80 minutes of film. Tom Tykwer gifted us an avant-garde thriller full of questions on chaos theory, German cultural allusions, inventive narrative, and a colorful heroine. It was composed through a deft amalgamation of cinematography, editing, music, plot twists, and a great deal more. He knows the masters whether it is Joseph Von Sternberg or Alfred Hitchcock. He knows where German film has been before during the Weimar Era and The New German Cinema. However, perhaps more importantly as Barbara Kosta puts it, “Tykwer belongs to a generation of Germans that embraces popular culture rather than criticizes it as colonization of the mind and a form of cultural imperialism” (Kosta, 165). Thus, he is not a part of the New German Cinema but rather the German cinema which is new right now. Run Lola Run did for Germany what Breathless and Rashomon did in those countries. Critics can argue all they want about the degree that this is true, but the fact is that Germany has a film history, and they also have a future. Run Lola Run is just the first snapshot in this whole collage of contemporary German films that have been brought to our culture’s attention. This entry was posted in Essay, German by 4StarFilmFan. Bookmark the permalink. Well written piece, especially enjoyed reading about the German film makers that influenced Tykwer. Not too familiar with German films…the techniques used in this movie that emphasizes time and movement is very intriguing…I hope I do not offend you; but, I couldn’t help but think of “Ground Hog Day” (time aspect with changing results) mixed with the movie ” Traffic” with the interconnectedness. Great review…thank you 😊 I look forward to seeing it. Thanks for your comment! Groundhog Day is actually a good comparison! And I actually haven’t seen Traffic yet. It’s definitely a real genre bender.